We were delighted that CEO, Wendy Bartlett was invited by the Institute of Directors to a round table discussion of CEOs chaired by IOD, Chairman, Simon Walker to discuss whether, in the last 20 years technology has had a pervasive effect on business and consumers. Amid the vast opportunities the panel discussed how companies can ensure they are choosing the right solutions to benefit their customers. 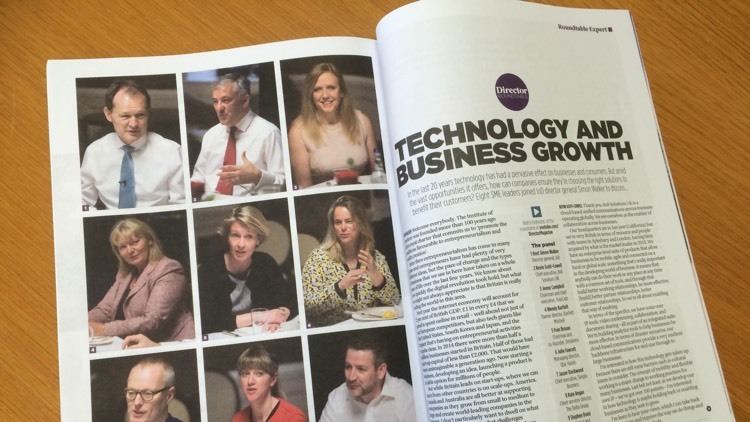 You can see video of the roundtable and read the full article from the Director Magazine here.